Exclusive interview with Mark Young: "I blew €500k lottery winnings in 48 hours"
Current Edenderry sub goalkeeper and former underage footballing sensation Mark Young sat down with our staff reporter on Wednesday morning to discuss his recent lottery win and his plans for the future after scooping €500k in the Euro-millions at the weekend. On Monday afternoon, this reporter exclusively revealed that Mr Young was the mystery winner and members of the public have been congratulating Mark on his haul over the past few days including celebrity Edenderry supporter Donald J Trump. President Trump tweeted: "Congratulations Marko. I love REAL news stories". However, in this exclusive interview with the man who missed a crucial penalty in the 2011 county final, Mark reveals the money is now all gone but that he had "one hell of a 48 hour binge". Reporter: Mark, firstly, Congratulations on your big win. How does it feel? Mark: Thanks mate, it felt good. I had some crack for 48 hours. Reporter: 48 hours and the rest of your life surely? Mark: Well no, the money's all gone now. But it was some crack for the 48 hours I had it. Reporter: The money is all gone??? What?? Reporter: How did you spend that amount of money so quickly? Mark: I spent a lot of it on booze, fast cars and loose women. I squandered the rest. Reporter: You bought a Ferrari F40 is that true? Mark: Yea it was some beast. But Gay Lawton took it back cause I cancelled the cheque. I needed the money to place a bet on Kildare winning the All-Ireland at 1000-1. It's a no brainer. Reporter: And the rest of the money? Is every penny gone? Mark: Well I had a good session in O'Donoghue's on Monday & Tuesday and then paid off a few loans. But I also made some sound investments that I think will really pay off in the future. Reporter: Oh well at least that's something. What kind of investments Mark? Mark: I'm going to open a stall at the fair in the square on the first Tuesday of the month. I bought 500 Video Cassette Recorders and 150 Fax Machines that I think will be great sellers. Reporter: Em, okay. That's quite a risky move though. Mark: Ah look I know what I'm at. You have to spend money to make money you know. 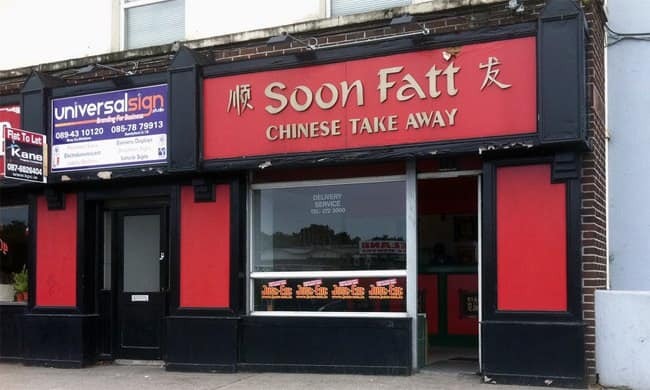 I bought a restaurant as well. 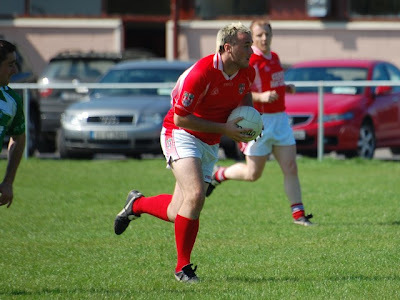 As our interview came to a close Mr Young spoke about how he is looking to put his lottery win and recent fame behind him and that he is fully focused on regaining his position in the Edenderry senior team. Having spent the best part of the first six months of the year working abroad for the Irish Defence Forces in the Lebanon he spent the following month sightseeing in Thailand. Mark spoke somberly about how his lost fortune has cost him friends and even went as far as to say senior team captain Colm Byrne has removed him from his profile picture on Facebook and blocked him on Twitter. "I guess Colm really wanted to help me spend the money" Mr Young stated. However, having returned to football training on Sunday morning (in his flash Ferrari), Mark claims he is 100% focused on playing for the reds and will leave no stone un-turned in his bid for a third county medal. "I just want to concentrate on my football. I'm delighted to be back training and looking forward to the Rhode game Saturday week. I can't train this weekend as I'm on a stag in Killarney and I'll miss one night next week cause I'm going to watch a soccer match in England but other than that I'm all in, I can't wait" Mr Young confirmed.